Is the new executive director for Urban Youth Collaborative. In this role he will he will equip and mentor youth leaders to empower more students across San Diego County. He has been a youth pastor for over 10 years and has worked as a mentor, leader, and coach with many inner city student ministries. His mission in life is to share his faith and dreams with the marginalized in our communities and inspire success. 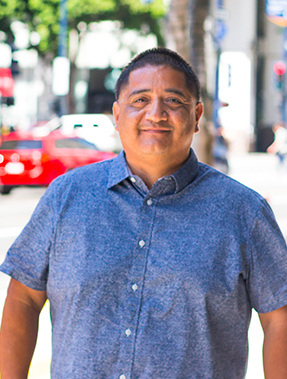 Carlos has an incredible passion for this generation and is committed to develop student leaders in schools, churches, ministries, and wherever God sends him.